This print is the original antique illustration from 60's. IT IS NOT A COPY. 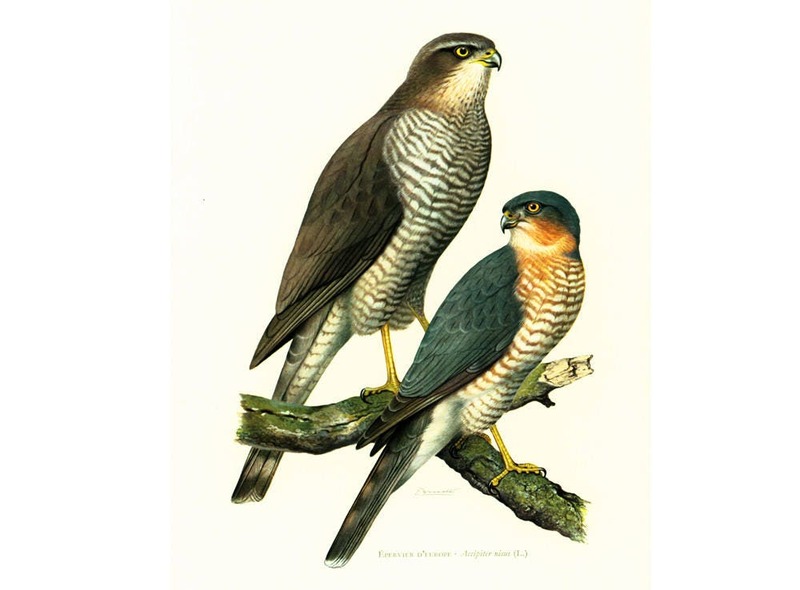 It is part of a coloured plates serie of European birds. French Book Plate illustration, published in Paris. Frame it or use it for cards, scrapbooking, altered art. Leaf size is aprx 26 x 18 cm / 10.23 x 7.08 inches. Scientific description printed on the reverse side. Please check the scans of the print. My ads have detailed photos of the exact print you are buying. It has been the most pleasant experience. I had been looking for this rare print for years and finally found it at sofrenchvintage. It arrived quickly and exactly as described. Once again I highly recommend this store. Love all my vintage botanical prints! Excellent packaging and super fast shipping. I highly recommend purchasing from 'sofrenchvintage'. Super schönes Bild und 1A verpackt, vielen Dank. Love this beautiful print and its great price! - Thank you for adding its age/name/history, I appreciate that!! Came wrapped well, and in great time - now being framed as we speak. Thank you again!